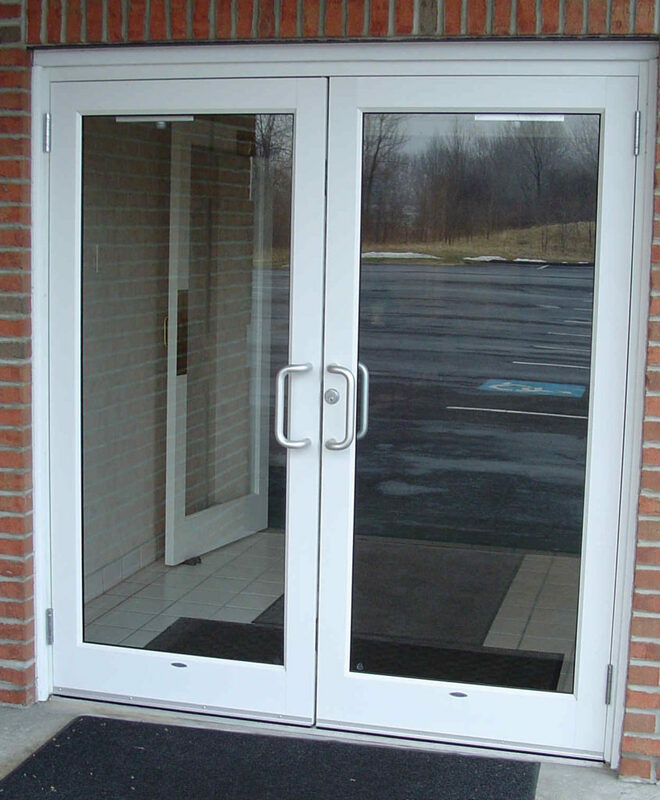 Aluminum Glass Doors repair are commonly used for retail and commercial storefront entrances. Available in many styles, colors, and features, Ontario Door Repair can provide standard or custom aluminum glass doors for your entrance specific to your needs. Aluminum frames with less mass for easy opening. Ontario Door Repair specializes in fixing and installing doors for commercial and retail properties across GTA Ontario, 24 hours a day. Our clients include everyone from Lowe’s and WalMart, down to the smallest “Mom and Pop” stores. We’re based in the GTA Area, and can service surrounding cities and neighborhoods. The managers of Ontario Door Repair have been fixing doors for more than 20 years. This means that when you hire us, we pour years of knowledge and experience into your project. But that’s not all. We can get the job done fast. We have a mobile fleet of trucks that are stocked with the parts needed to complete most repair jobs on the first visit. We use expertly crafted storefront door parts, installed by our qualified technicians to provide for a safe environment for your visitors. So don’t cut corners when it comes to working, safe store doors. Talk to the repair experts today, and get a free estimate on our services for Greater Toronto and surrounding areas. You have a door problem, and we’re ready to solve it for you. Call us now at 647-951-3510 for a free quote on our services, or to learn more about what we can do for you. Or just fill out the contact form on this page for more info.